At the Chicago History Museum, you can get your rum-running during Prohibition Month. Photograph: Courtesy Chicago History Museum SHAKE IT OFF Chicagoans celebrate the end of prohibition on New Beer&rsquo;s Eve, 1933. Educated boozehounds know Chicago is synonymous with the speakeasy—that jazzy, password-protected tavern of yore. The less-than-legal legacy lives on this April during Chicago History Museum’s Prohibition Month, four weeks of events to celebrate the days of secret sipping. Festivities begin April 6—New Beer’s Eve. The observance marks the day in 1933 before President Roosevelt first permitted the sale of 3.2 percent beer after repealing 12-year-long Prohibition laws. Here’s a look at five of the boozy events. For tickets, visit chicagohs.org. 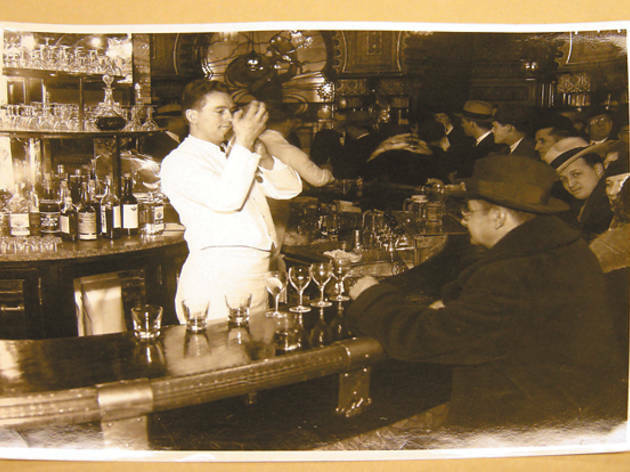 Learn all about the special day at a watering hole purported to be a former speakeasy. Chicago History Museum public programs manager Liz Garibay and Sheffield’s owner Ric Hess discuss how Prohibition killed small-batch craft beers. The night features suds from Cali-based Stone Brewing Company, a first for Chicago, as well as a slew of other craft beers and barbecue appetizers. Sheffield’s, 3258 N Sheffield Ave (773-281-4989). Tue 6, 7–10pm; $55, members $50. Join Caponies at the release of this true story about the hunt for the legendary gangster. Author Jonathan Eig, who uncovered never-before-seen personal letters, will offer his take on the cause of the St. Valentine’s Day Massacre (spoiler alert: William “Three-Fingered Jack” White may have plotted the massacre to avenge the death of his cousin). 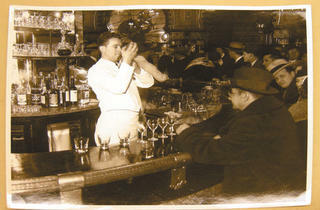 A simulated speakeasy will be available for sipping spirits in after the talk. Chicago History Museum, 1601 N Clark St (312-642-4600). Apr 27 at 7pm; $15, members $12. Take a trolley tour of onetime speakeasies that were operated, owned or frequented by Chicago gangsters. Notorious haunts like the Green Door Tavern are on the agenda. Chicago History Museum; Apr 24 sold out; $25, members $20. This members-only affair provides the exclusive opportunity to view Chicago artifacts from the Roaring Twenties, presented by Chicago History Museum curator John Russick. Chicago History Museum; Apr 13, 27 at 6pm; May 4 at 6pm; membership $40, membership per family $50; 6pm. Like a 16-year-old with a case of Mike’s Hard Lemonade, Prohibition-era folks were determined to find a safe space to imbibe. Join Dan Okrent, former New York Times public editor and author of Last Call: The Rise and Fall of Prohibition, as he discusses how the speakeasy changed America’s drinking habits and how Prohibition led to organized crime and created a fight that still exists across liberal and conservative lines. Chicago History Museum; May 4 at 7pm; $10, members $8.